The BBC Symphony Orchestra invites you to a celebration of the music of North Africa, with two concerts featuring Mohamed Briouel with the Fes Andalusian Orchestra. 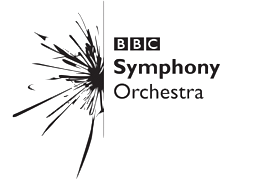 An evening of traditional and orchestral music from, or inspired by, North Africa, with the BBC Symphony Orchestra conducted by Pascal Rophé, and the Fes Andalusian Orchestra. The programme includes traditional music from Morocco, Bushra El Turk's Mosaic, Tarik O'Regan's Raï, Saint-Saens' Suite algérienne, Bartók's Dance Suite, Antheil's Decatur at Algiers and Egyptian composer Amr Okba's Charon-Pluto I. A concert featuring traditional Arab-Andalusian classical music from Mohamed Briouel and the Fes Andalusian Orchestra. Members of the BBC Symphony Orchestra will join them for an exciting fusion of Moroccan and Western classical music led by Fraser Trainer. The evening will also feature an appearance from the BBC SO Family Orchestra, an ensemble of musicians of all ages under the leadership of Lincoln Abbotts. The BBC SO is grateful to the British Council for their support throughout the Diverse Orchestra project.